Papersmiths co-founders Sidonie Warren and Kyle Clarke didn’t set out to open a stationery business. Instead, it happened naturally when they moved their design studio to a new location that happened to have a storefront. With all that window space, the duo knew they were looking at an opportunity — and with their background in design and their penchant for paper and prints, the obvious choice was a stationery shop. And thus, Papersmiths was born! Today, the trendy UK retailer operates two brick and mortar stores (one in Bristol and the other in Shoreditch), and they trust Vend to make sure everything’s smooth sailing. Read our interview with Sidonie to learn why they chose us and to discover what Vend does for their business. Tell us a little bit about how you got started. What’s Papersmiths all about? Papersmiths brings you goods to inspire and tools to create. We sell a lot of stationery, as well as magazines and books. It all began in 2012, when we launched as an add-on to our design studio B. My business partner Kyle Clarke and I found ourselves in a temporary studio with a shopfront in Bristol’s arts quarter, and we decided to open a shop. We’re both dreamers, and we’re always coming up with ideas and trying them out. We enlisted the help of Kyle’s brother Ross and built wooden shelving and display surfaces. The product choice was easy; we work in design, and we’re obsessed with paper and print — so we got together a collection of products from our favorite designers and publishers around the world. We only had £1000 to spend at the beginning, and we’ve grown organically since then. We became quite busy and relocated to a bigger store in neighbouring Clifton Village in 2013. This year, we opened our second location in Shoreditch, East London. In Bristol, we’re opposite an artisan cake shop — so it’s pretty sweet (sorry!). In Shoreditch, we’re surrounded by agencies and designers in the neighbouring Tea Building. There are lots of tourists in both communities who are looking for a little something to take home with them. Everyone at Papersmiths loves to share, so we have postcards that we scribble our top tips on for anyone who visits from out of town. I get a thrill out of seeing a sense of wonder in people’s faces. Watching customers browsing the store, picking up and trying out products, and discovering how they might work for them in their own practice is extremely rewarding. I love to hear how customers use the products, too. I’m a discerning being, so seeking out quality, unique goods comes naturally to me. Being surrounded by our team at Papersmiths, who are all equally as passionate about paper goods and stationery, rubs off on me and makes me want to be a better leader. We came to Vend because we were having huge problems managing our online store inventory. Every time we sold a product, we had to manually update Shopify! It was slightly absurd, and we did it for far too long before discovering Vend. I like to look at things from a positive angle, and I think we appreciate Vend that much more because we had such a horrible time without it! 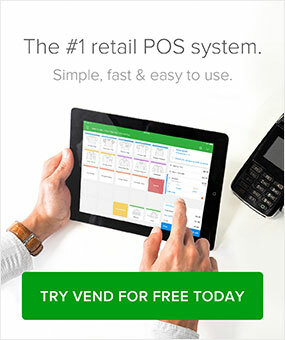 How does Vend work for your business (e.g. 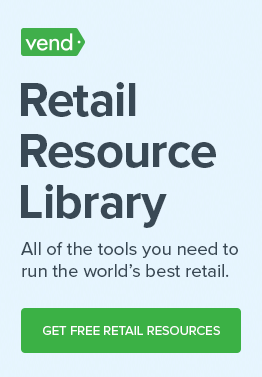 increasing your stock efficiencies, improving customer loyalty, saving you time)? Vend has massively improved our efficiency. It saves us time because it links to Shopify and updates our inventory automatically. The ordering system means that I can place all the orders remotely, and the team can receive them and get the stock out onto the shop floor even if I’m not there. Now that we have two stores, we’ve used the stock transferring system to move stock from Bristol to London. The reporting software is my favorite feature. It’s fascinating to see which products are most popular and why, and it also helps us make buying decisions. Vend does most of it for us. We schedule daily stock-checks, so every brand we carry gets checked at least monthly. We have a stockroom in both stores with labelled boxes, which helps. We also use a merchandising technique called the “perfect fill” that I learned when I worked at American Apparel during university. Our store’s visual merchandiser explained that the displays looked terrible when you had different quantities of each variant out or if there was a color missing. Every Wednesday, we’d “fill” the store so that there’d be one of each size out in every color of the AA rainbow. I took this merchandising gold and applied it to stationery. Now pictures of the Papersmiths rainbow pop up on Instagram quite a bit. Thanks, AA! Hire people to help you. As soon as you can. And if you can’t afford to, then I’d ask yourself whether you’re running a business or a hobby that will consume you forever. Like many start-ups, Papersmiths began life as an expensive hobby. Now we have systems, we employ twelve wonderful people, and we’re profiting. My favorite moment is when Annabel Wallace’s dad came in to buy her a card to say “well done” for landing her role in The Mummy opposite Tom Cruise. We didn’t have any cards I felt were appropriate for such an occasion, and I spent far too long raiding the stockroom trying to find something suitable. In the end, Mr. Wallace went for a card with a hammer on it that said “You nailed it.” He was a nice chap. Another memorable moment is when I set fire to a box of matches when showing a customer how to use them. They didn’t buy the matches. Follow Papersmiths on Facebook, Instagram, and Twitter, and pay them a visit if you’re near one of their stores! Nikki is Vend's content and copy wizard. American-born and Auckland-based, she's into reading (a lot), writing (obviously), and travelling (always).